Who knows why we do the things we do. It came to me one night during my 6 month job gap. I put some stuff into my backpack and caught a late train to Pasir Ris. And started walking home to Boon Lay where I stay. 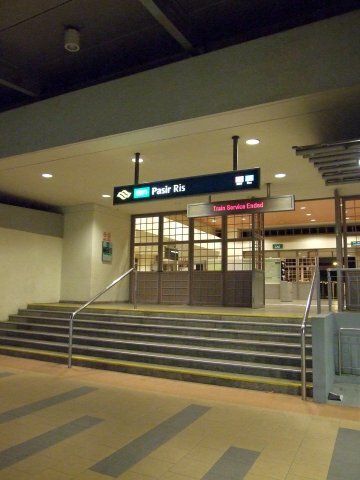 Pasir Ris Station, the start of the journey. Interesting fact (from wiki): The first reference to a village of Pasir Ris, Passier Reis, appeared in 1853. There has been conjecture that perhaps this is a contraction of Pasir Hiris (pasir is “sand” and hiris means “to shred” in Malay). Interesting fact (from wiki): The name Tampines goes back to the Franklin & Jackson map of 1828. 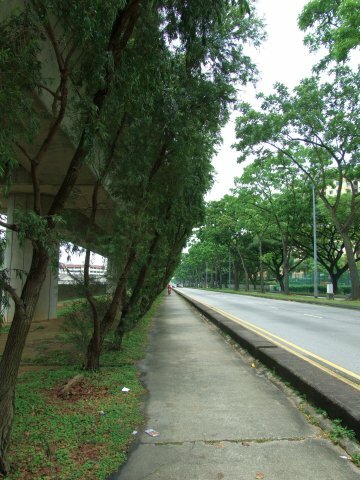 It is named after Sungei Tampenus, which in turn got its name from the tampines trees (Sloctia siderozylon) which are said to be growing there. Interesting fact (from wiki): The name Simei is pinyin for “four beauties” in Chinese. Initially, the roads in this area was named after the four great beauties in Chinese history (Xishi, Wang Zhaojun, Diao Chan and Yang Guifei). 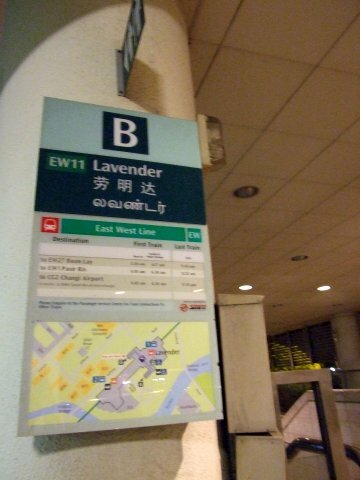 However, due to difficulties in pronouncing these street names by the non-Chinese ethnicities, the roads were renamed Simei Streets 1 to 4. Good use of the land beneath the train tracks. 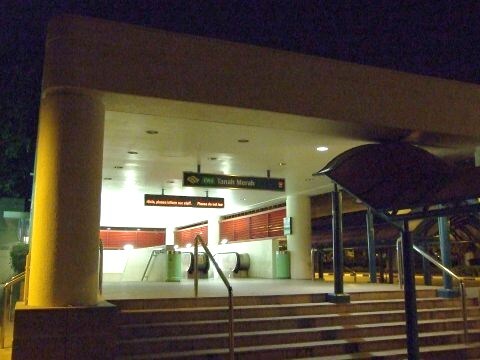 Tanah Merah was one of my most frequented MRT stations as I used to serve in the nearby military camp. I still go to the station from time to time when I take the public transport to Changi airport. 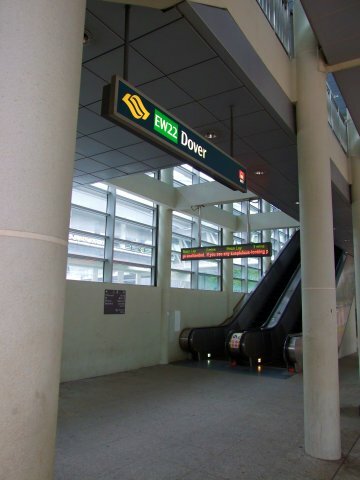 Interesting fact (from wiki): The station is the only interchange station not to be part of two or more lines, due to it being an interchange between the main East West Line and the Changi Airport Branch Line. 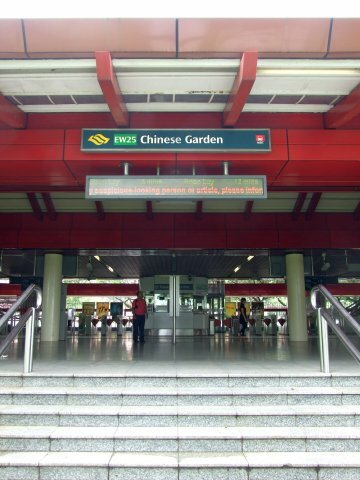 The station is also the only MRT interchange station to have only one alphanumeric symbol (as opposed to other interchange stations, which have at least two). Interesting fact (from wiki): The Malay word bedoh refers to a type of slit drum made from a large hollowed log for calling people to a mosque for prayers or to sound the alarm in the days before loudspeakers. There was a prominent mosque in the 1950s at Jalan Bilal that still used the drum about five times a day. The “h” in the word bedoh was replaced with a “k”, and, as with most Malay words that end with a “k”, it is pronounced with an inaudible glottal stop. Interesting fact (from wiki): Kembangan means “expansion” in Malay. 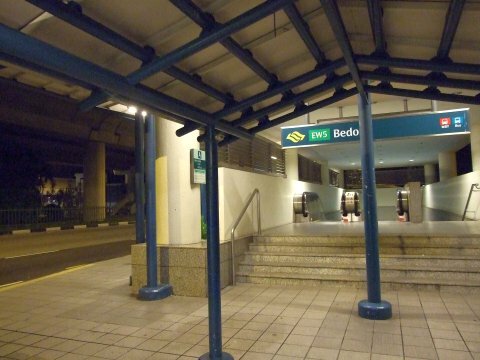 Interesting fact (from wiki): The station is designed with a traditional Malay roof structure and shape, but using modern materials such as steel beams, similar to that of the Eunos Bus Interchange. 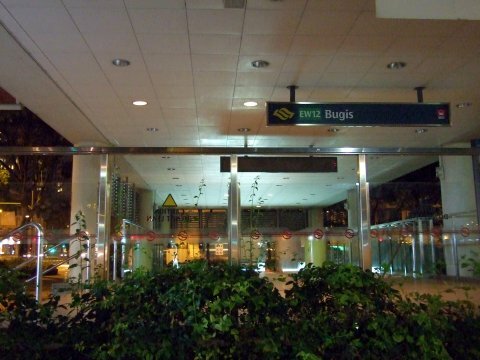 This is to provide a sense of identity to the area, as Eunos bus interchange lies close to Geylang Serai and the Malay Village. 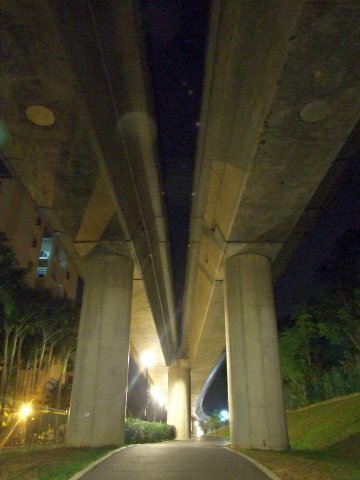 Interesting fact (from wiki): Paya Lebar was a large, swampy area close to the Kallang River, hence its name. 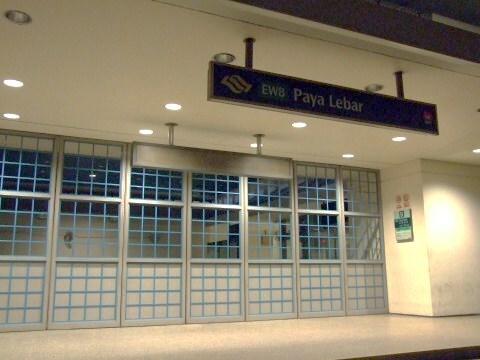 Paya means “swamp” and lebar means “wide” in Malay. This was an extensive and notorious squatter district, whose inhabitants engage in cultivating market produce, including pig and poultry rearing. 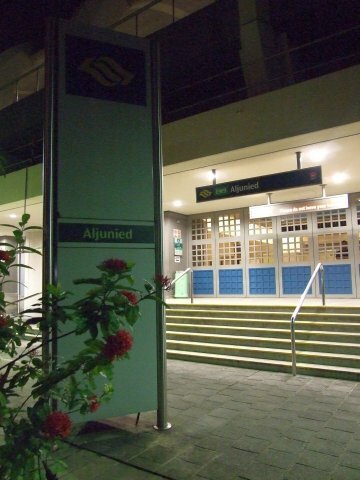 Interesting fact (from wiki): Aljunied Road was officially named in 1926 after Syed Omar bin Ali Al Junied (died 1852). Syed Omar was a wealthy Arab merchant from Palembang, where he had set up business after migrating from his hometown in Tarim, Hadramaut (Yemen). He was also a highly respected man, looked upon by the Malays as a prince. Syed Omar came from the well-respected Arab family who were descendants of Islamic prophet Muhammad. He was a nephew of Syed Mohammed bin Harun Al Junied, who also came from Palembang to Singapore in the early days before the founding of Singapore in 1819. Syed Omar was a philanthropist and his charitable acts included donating a large plot of land in Victoria Street for the purposes of a Muslim burial ground and the construction of a mosque in Bencoolen Street. The land where St Andrews Church (see St Andrew’s Cathedral, Singapore) stands was also donated by him. He and his family contributed largely to the setting up of the Tan Tock Seng Hospital. By this time, I noticed signs of lives. Newspaper delivery men were making the rounds and hawkers were preparing at their food stalls. Interesting fact (from wiki): Kallang is an old Malay reference to the orang laut (people of the sea), called orang biduanda kallang, who lived in the vicinity of the Kallang River and Singapore River. 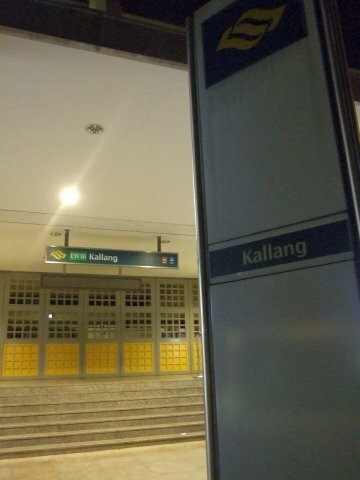 From Kallang, the tracks start to go undergound so I walked in the general direction towards to the next station. 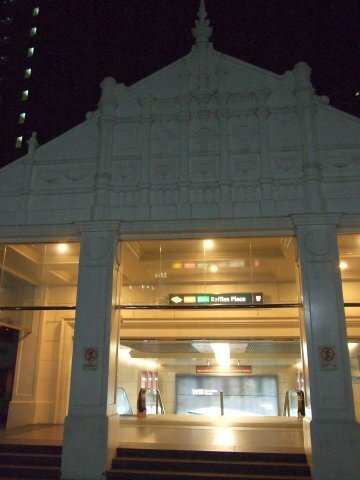 Interesting fact (from wiki): Despite the apparent modernity of its surroundings, the station lies at the historic boundary of the original colonial settlement of Singapore in 1819, which was marked by the adjacent Rochor River. The surrounding area comprised old shophouses, factories, villages, rivers and swamps until the 1960s, when the area was transformed by urban renewal and high-rise public housing. The oldest buildings in the area include the Hajjah Fatimah Mosque and the Kampong Glam heritage district. Besides these, most of the area comprises high-rise public housing estates. Modern multi-storey commercial or mixed-use buildings in the area include Golden Mile Complex and The Concourse, both icons designed by famous architects, as well as Golden Mile Tower, Sultan Plaza, Textile Centre and Keypoint. Interesting fact (from wiki): It was built on the site of The New 7th Storey Hotel. 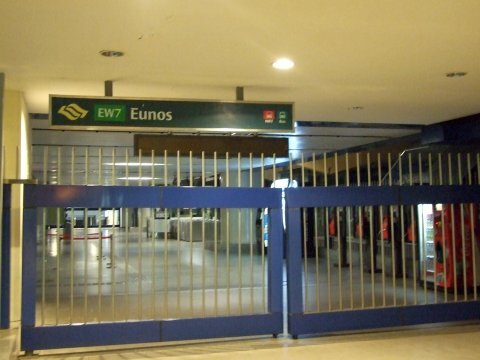 Interesting fact (from wiki): There is a mural along the wall of the station called Vitreous Enamelled Mural by Simon Wong. 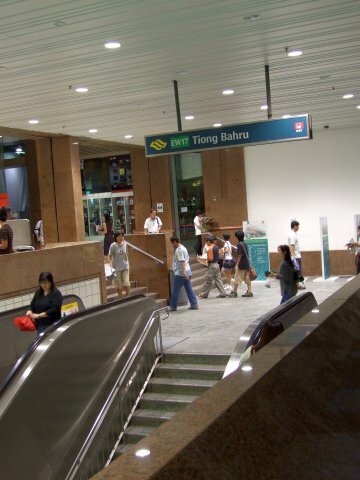 Interesting fact (from wiki): It used to be the largest and deepest MRT station in Singapore, but the record was broken by Dhoby Ghaut in 2003 and then by Bras Basah in 2010, which is around 35 metres below ground. 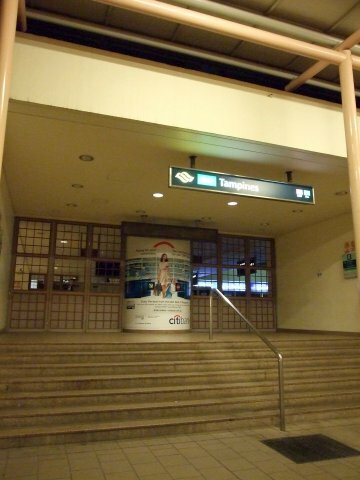 The station is the only MRT station to ever participate in three terrorist exercises, which are Exercise Northstar IV on January 11, 2004, Exercise Northstar V, when it was one of four stations which participated in the exercise on January 8, 2006, as well as Exercise Northstar VII on July 7, 2009 together with Sentosa and VivoCity. Hmm, where is Tanjong Pagar? I must have forgotten to take a photograph. Anyhow, by this time, my legs started to ache. It also started raining so I seeked shelter at a coffee shop for rest and refreshments. Interesting fact (from wiki): Tanjong Pagar in Malay means “cape of stakes”, a name which reflects its origins as a fishing village situated on a former promontory. It has been surmised that the name was inspired by the presence of kelongs (offshore palisade fishing traps constructed using wooden stakes and cross pieces) set up along the stretch of coast from the village of Tanjong Malang to what is now Tanjong Pagar. It is possibly a corruption of the earlier name Tanjong Passar, a road which led from South Bridge Road to the fishing village and which appeared in George Drumgoole Coleman’s 1836 Map of the Town. 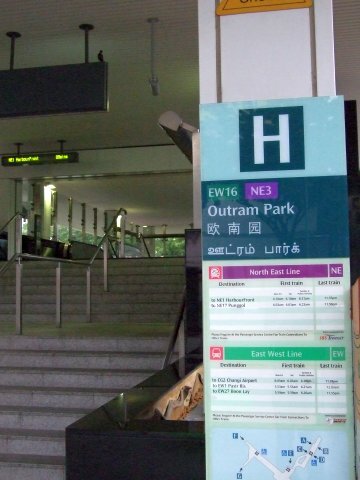 Interesting fact (from wiki): A plaque relating the history of the Outram Park prison can be found outside of the station. The prison no longer exists as residential blocks (HDB) have been built where the prison once stood. At Redhill Station, the tracks became elevated again. By now, I was limping. 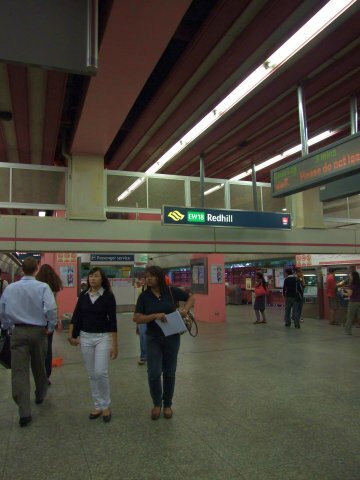 Interesting fact (from wiki): Redhill MRT station is the smallest station in the entire MRT System, and is the only station in which the two platforms are not parallel to each other. 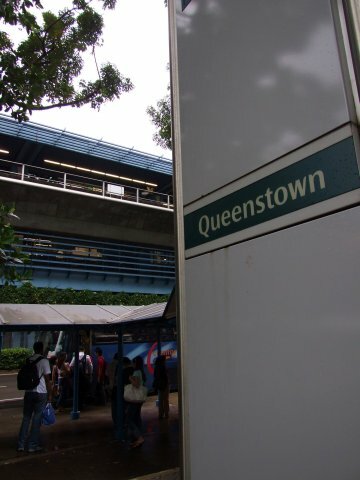 Interesting fact (from wiki): Queenstown is one of the early housing estates in Singapore, built before Toa Payoh and Ang Mo Kio, and was a test bed for much of Singapore’s public housing. Queenstown was named after Queen Elizabeth to mark her coronation in 1952. The area used to be called by the Chinese name wu wei gang. 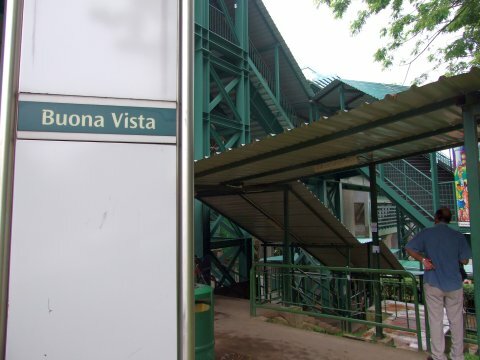 Interesting fact (from wiki): Buona Vista was so named because of the good view it offers — buona vista means “good sight” in Italian. 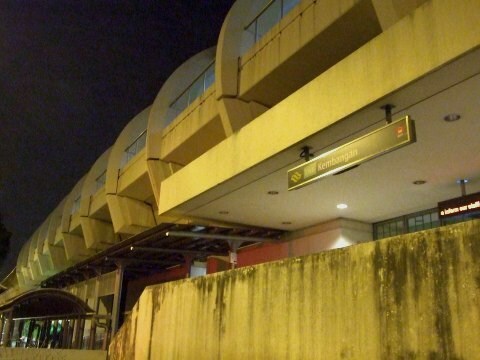 Interesting fact (from wiki): Adjacent to the Singapore Polytechnic on one side, and undeveloped land on the other, the building of the station was met with reservations by some members of the public over the small area it serviced. There were criticisms over the spending of “taxpayers’ money” chiefly for use only by students of one educational institution. 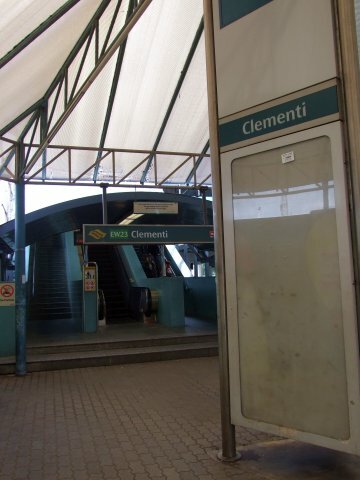 Clementi station was one of the first few stations to be operational. I remember going there as a kid with my parents during the opening ceremony. 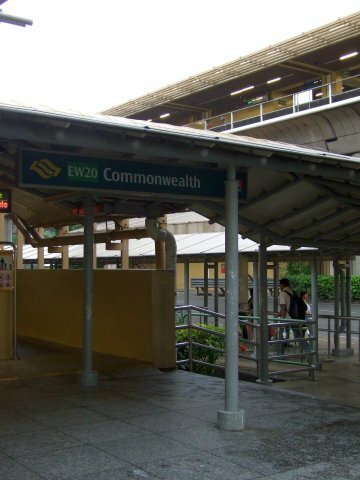 I used to live at Clementi West. 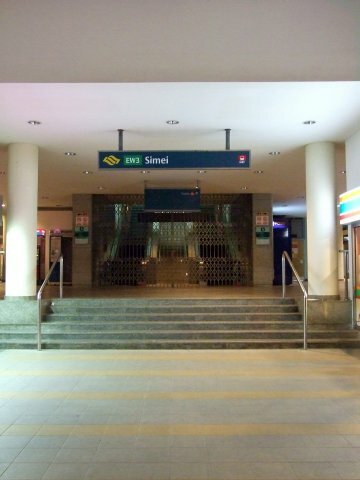 Interesting fact (from wiki): Clementi and the roads therein are named after Sir Cecil Clementi Smith, Governor of the Straits Settlements and High Commissioner from 1887 to 1893. The governor was an accomplished Chinese scholar. Among his achievements during his stint in office were laws brought into force to control secret societies in Singapore. It’s a long walk from Clementi to Jurong East. The tracks between these two stations is the longest between any two stations along the line. 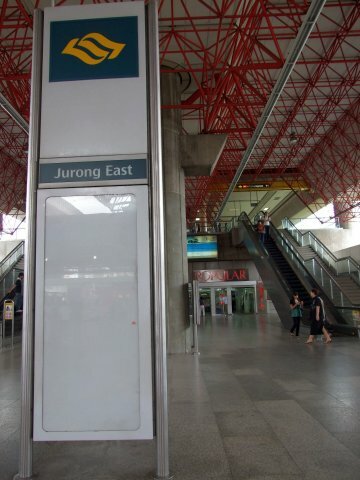 Interesting fact (from wiki): Jurong is probably derived from the Malay word jerung, which means a “shark”. Interesting fact (from wiki): The colour scheme of the station is mostly brown, red and green. It is similar to the colour used in the interior of classical Chinese buildings. 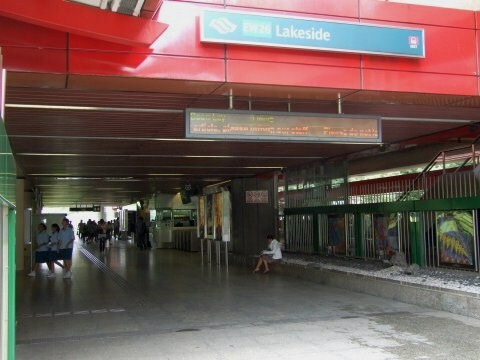 Interesting fact (from wiki): As the Jurong Lake lies next to this station which derived its name from geographical feature. The last stretch of walk! 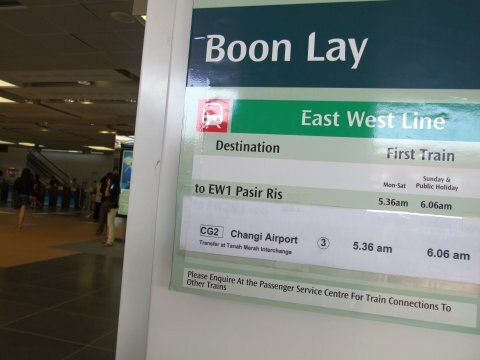 Interesting fact (from wiki): This station was named after Boon Lay Way, the street along the station, although the actual town of Boon Lay is located about 1 kilometer away. 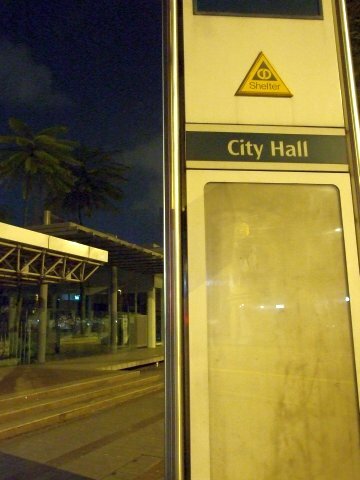 Boon Lay is a residential precinct in Jurong, named after Chew Boon Lay, a prominent businessman in the late 19th century and early 20th century who owned the land where the precinct stands, when a requisition of 1.012 km² of land from his estate was done by the war department of the then colonial government of Singapore, leading to the growth of Boon Lay Village in the 1940s, with a population of about 420 in the early 1960s. It took me almost 12 hours for the 50km walk. I had thought it would be an easy stroll. Apparently, I wasn’t really that used to the distances. In fact, I was quite inmobile for the next few days. But I was determined to get fitter. I was to jog/walk my first marathon 6 months later. Wow, 50Km in 12 hours, that’s great. When I was young in 2010, I spent 7 hours to finish a night-jog covering 25 kilometers. This is the longest road I’ve ever walked. So many times I wantted to give up in the midst of the jog and went home as it’s really a hard journal, sleepy and ache in the legs, and no one to talk to. Also, I didn’t dare sit on the ground to take a break as I know I’ll not be able to stand up again and continues the jog. I was proud that I was one of the 6 girls who lasted to the end of this jog. Hey, good job at completing 50 km, it sounds like a nice adventure.
! I enjoy walking too.. but not jogging (i cant jog). 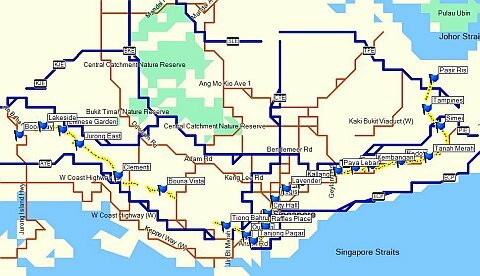 I have recently conquered 1 round Singapore River from Carke Quay to Fullerton… turn around to Tangling n back to Clarke Quay.. coverrd near 12km for 2 hour n 15min. Looking for other route n challenges to walk.. i do cycle on a foldable every Sat at ECP for avg 45 km+/-. Will be great if one day can meet same like minded people that enjoy walking n walk togerher at a rconfortable pace!